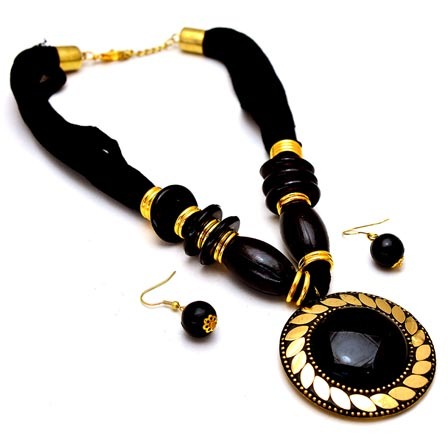 Be fashionably With Black and Gold Polish beaded drop neckless with Round Pandent and Pair of Earrings for Women. 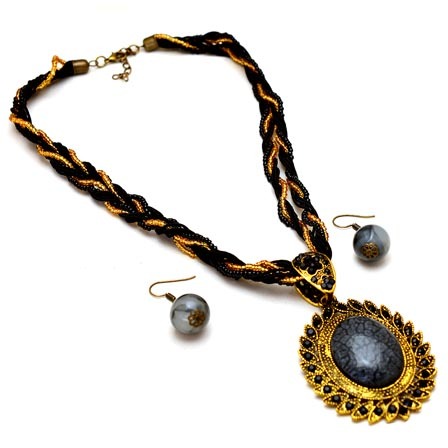 This classic Black and Gold having Round pendant Necklace is amazing piece of jewellery and should be added in your beautiful Jewellery collection. Black and Gold Drop ..
Beautiful stylish Black and Gold Drop Necklaces with Circular Pandent and Pair of earrings for Women. This classic Black and Gold having Circular pendant Necklace is amazing piece of jewellery and should be added in your beautiful Jewellery collection. - Worldwide Free Shipping and Delivery Within 5-7 Working Days (In India) and 10-14 Working Days (Out of India).